Venable, has published a quick primer on the U.S. law that mandates a national standard for disclosing bioengineered foods. Federal Law pre-empts states from GMO legislation. Food Drug & Cosmetics Act, foods subject to labeling requirements under the Federal Meat Inspection Act, the Poultry Products Inspection Act, or the Egg Products Inspection Act. the modification could not otherwise be obtained through conventional breeding or found in nature. USDA will need to provide guidance and interpretation. A Non-GMO certification, under the National Organic Program (7 U.S.C. § 6501 et seq. ), is sufficient to claim the absence of bioengineering in the food (e.g., “not bioengineered,” “non-GMO,” or another similar claim). Is the Vermont GMO law, null and void? The bill suggests that an electronic mark (i.e. think Smart Labels, and QR Codes) should be used to provide the consumer with GMO information. Additionally if an electronic mark is to be used then the company cannot collect personal demographics information. So yes, Vermont’s and every other state, agency – cannot require on package labeling; only the Feds will have that right. But given companies and grocery stores want to manage their brands, and require labeling, we can expect their to be legal challenges. A fungus engineered with the CRISPR–Cas9 technique can be cultivated and sold without further oversight. 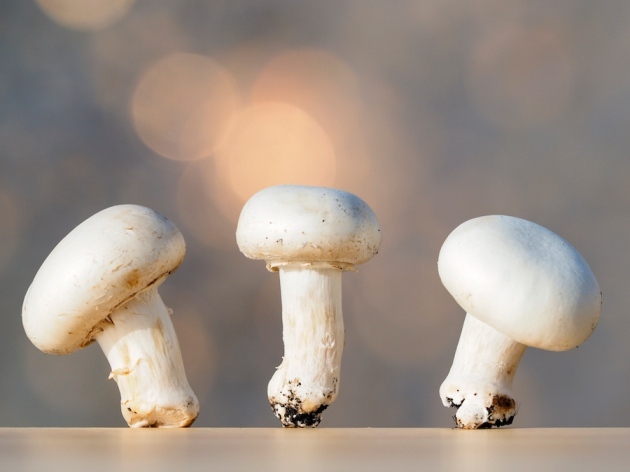 Beside growing in the dark, mushrooms now have the ability to bypass government GMO scrutiny. What this means to the non-GMO movement and other foods is anyones guess. Be careful of superlatives – Best, Pure, All Natural and even “non-GMO”. They all imply an absolute. “non-GMO” implies “nothing — nada — zero — zilch” genetically modified organisms. As Chiplote is finding, if you use “non-GMO” you can expect the lawyers to fight over the gray. When lawyers spar the dollars just add up, so know your risks. FDA’s Center for Food Safety and Applied Nutrition is plowing ahead with an ambitious and wide-ranging agenda for the remainder of 2016 without pause after knocking out five final or proposed rules related to food safety and nutrition in just as many weeks. UPDATE: See Is the Vermont GMO law, null and void? Vermont’s new law for foods produced with genetically engineering is confusing. Do you need to worry now? Short answer yes! But you will have to decide your own deadline July 1st or Dec 31st 2016. Vermont’s Act 120 and CP 121 requires all food product with genetic engineer and offered for retail sale in Vermont to be properly labeled by July 1, 2016. Bottom line. Get started. Get you labels compliant with Vermont’s law.